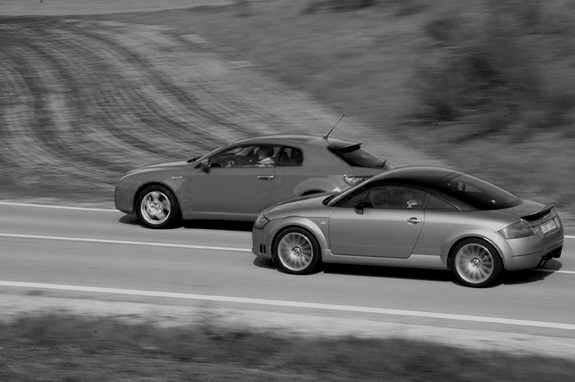 Audi and Alfa Romeo in “negotiations”. Has Sergio Marchionne finally buckled? Is Audi buying Alfa Romeo? Let’s hope so! “Alfa Romeo is at the core of top-level negotiations between Audi and Fiat and might be near to a sale, reliable sources here and in Ingolstadt, Germany, say. Sources close to both Fiat CEO Sergio Marchionne and Audi CEO Rupert Stadler confirm the two are in talks over a major deal. Can’t say I’m a huge fan of this idea…but I like the fact that it’s Audi. Hmmm…if Alfa’s were as reliable as an Audi…okay I’m about 95% on board with this. Additional thoughts: is this Audi’s potential entry to Formula 1? It would be legendary to see that marque up top for the first time since the back-to-back constructor titles in 1950 & 1951!